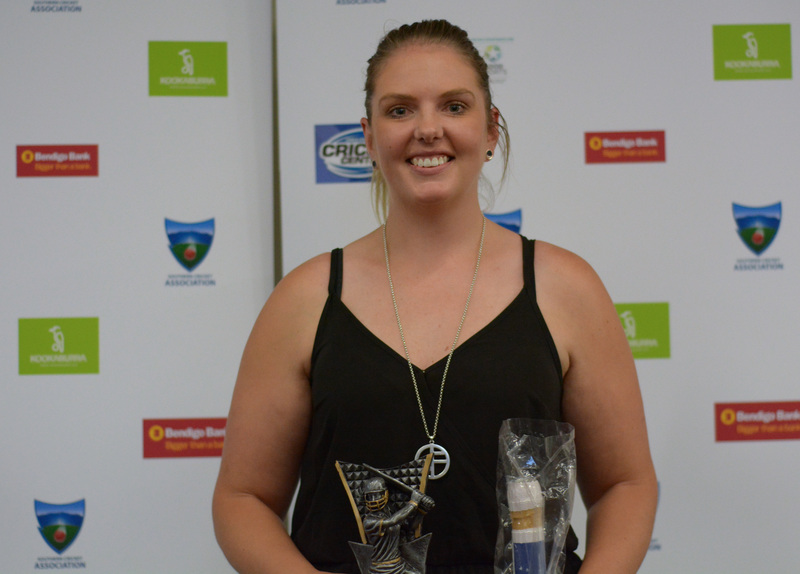 Jason Shelton and Natalie Downton are the toast of the Southern Cricket Association after cleaning up the major awards at the SCA End of Season dinner at Blundstone Arena held last night. In his second season in the SCA competition, Shelton (St Annes CC) who amassed 578 runs at 57.80, as well as claiming 18 wickets at 13.06 took home no less than five individual awards, including the covered SCA 1st Grade Player of the Year. The Montagu Bay CC claimed the Lord Taverners Spirit of Cricket award for outstanding behaviour across all their five teams in 2018/19. The SCA Men's and Women's Teams of the Year were also announced last night, with Shelton and Downton also selected as captains respectively.